MOORPARK, Calif. - May 18, 2016 - PRLog -- The event, taking place at Iceoplex Simi Valley on August 27-28, 2016, is Face Off With Cancer's annual flagship fundraiser. The 2-day long adult ice hockey tournament features a unique 3-on-3, cross-ice format and an NHL-style skills competition in which 36 teams will participate. Funds raised at the event will support Face Off With Cancer's mission of honoring and supporting local families who have been affected by cancer. "Everyone knows someone who has suffered an illness or loss due to cancer. The sport of hockey has a history of supporting charities, including the fight against cancer," remarked Richard Standke, owner of Discount Hockey. "For the second year in a row, Discount Hockey is proud to support Face Off With Cancer with their important fundraising event." Since their establishment in early 2012, Face Off With Cancer has coordinated several hockey tournaments, fundraisers and events to support various local cancer support organizations and multiple families affected by the disease. As an all-volunteer organization, they rely heavily on the contributions of the local hockey and business communities to support their mission. "Sponsorships like this allow us to provide a better experience for our participants and keeps them coming back year after year", explained Jennifer King, a Face Off With Cancer Board Member who has worn many hats over the years. 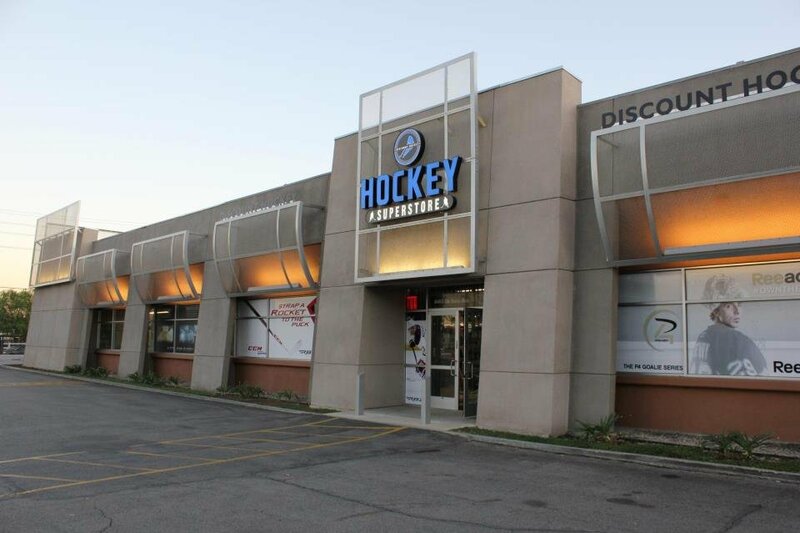 President and Co-Founder Ryan King added "We are very pleased to have a local hockey retailer like Discount Hockey on board again for this year's event. Arrangements like these don't just benefit both organizations, but the entire local hockey community." The organization has started preparations for the event and are seeking volunteers and sponsors of all kinds. For information on how you can get involved with Face Off With Cancer, please visit http://www.faceoffwithcancer.org or call (818) 217-FOWC. Face Off With Cancer, Inc. was incorporated in the State of California as a non-profit, public benefit corporation for charitable purposes on August 1, 2013 and is recognized as a tax-exempt organization under Internal Revenue Code Section 501(c)(3). Their mission is to raise funds and awareness for various cancer support organizations while honoring and supporting members of the Southern California hockey community who have been affected by cancer. They accomplish this goal through hockey related events, tournaments and campaigns organized by a dedicated staff of volunteers. Discount Hockey is LA's largest hockey retail super store. They have made it their mission to provide a wide variety of gear for the best prices. Customer service is their priority and they take pride in creating an excellent experience for their customers. For more information, visit them online at http://www.discounthockey.com or call (855) 735-0699. Face Off With Cancer, Inc.
: Face Off With Cancer, Inc.